Branding shenanigans notwithstanding, Red Hat Enterprise Linux (RHEL) must go through its release cycles and now we reach version 7.5 in all its glory. Big themes this release include a view that the operating system is a) a foundation for hybrid cloud environments b) has enhanced security and compliance controls and c) further integration with Microsoft Windows infrastructure both on-premise and in Microsoft Azure. The hybrid play here is, of course, because organisations are frequently seeking to pair existing infrastructure and application investments with both bare metal and public clouds. But hybrid brings with it ‘multiple deployment footprints’, so Red Hat is aiming to align security controls for that aspect. A major component of these controls is security automation through the integration of OpenSCAP with Red Hat Ansible Automation. This is designed to enable the creation of Ansible Playbooks directly from OpenSCAP scans which can then be used to implement remediations more rapidly and consistently across a hybrid IT environment. This release also includes storage optimisation. Virtual Data Optimizer (VDO) technology reduces data redundancy and improves storage capacity through de-duplication and compression of data before it lands on a disk. There’s love for Linux systems administrators, troubleshooters and developers too through enhancements to the cockpit administrator console. New functionality and integration with Windows-based infrastructure is now offered via improved management and communication with Windows Server implementations, more secure data transfers with Microsoft Azure… and performance improvements for complex Microsoft Active Directory architectures. 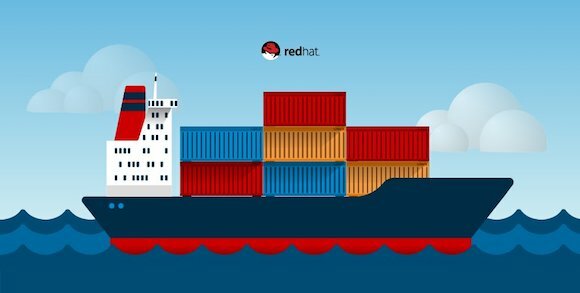 Overall, says Red Hat, this can help to provide a smoother transition for organisations seeking to bridge the scalability and flexibility of Red Hat Enterprise Linux 7.5 implementations with existing Windows-based IT investments. This enables IT teams to build and deploy containerised applications more quickly without needing to run a full container engine, reducing the attack surface and removing the need to run a container engine on a system not intended to do so in production. Denise Dumas, vice president for platform engineering at Red Hat provides the summary comment. “The future of enterprise IT doesn’t exist solely in the datacentre or in the public cloud, but rather as a fusion of environments spread across IT’s four footprints: physical, virtual, private cloud, and public cloud. Red Hat Enterprise Linux serves as a scalable, flexible and robust bridge across these footprints,” said Dumas. Goodness! Footprint fusion and cross-platform containerised interconnectedness inside hybrid development spheres — this all points to some new umbrella term… interoperability-ness isn’t an adjective yet, but it could be, you have been warned.